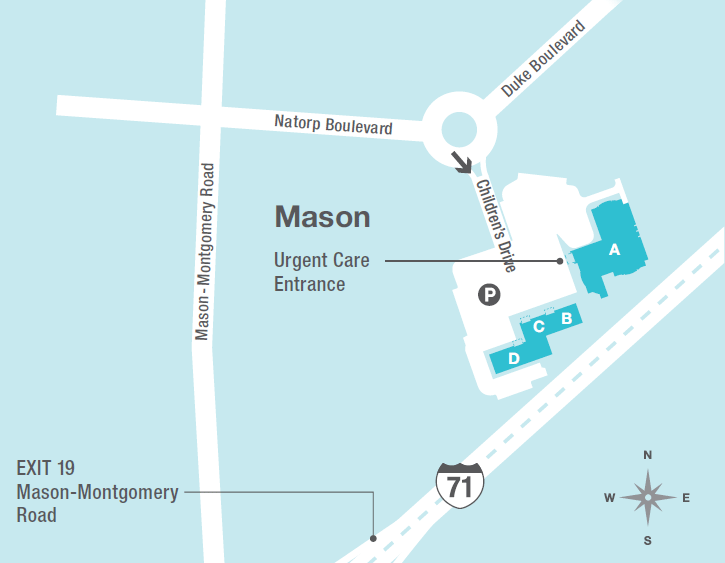 The current wait time for the Mason urgent care center is posted below and the “Save My Spot” feature can help you plan your arrival. If a wait time is listed during normal hours of operation, but you are unable to save your spot online, we are still accepting walk-in visits. If a site is shown as closed during normal hours of operation, the site has reached capacity for the day and we encourage you to look at one of our other sites for your care. In case of an emergency, please call 911 or go to an emergency room right away. The Mason Urgent Care Center (along with the Anderson and Green Township urgent cares) will be closed for the Easter Holiday Weekend: Saturday (4/20/2019) and Sunday (4/21/2019). Urgent Care will be available at our Burnet and Liberty Campuses. Blog Q&A: "Save My Spot"